In September 2010, Foreign Policy Journal and multiple other outlets published Lucine’s account of pilgrimage to the killing fields of the Armenian Genocide in Northern Syria. Levant Report is pleased to also host this stirring and historically rich account of these beautiful people in a land that is soaked with the blood of martyrs. 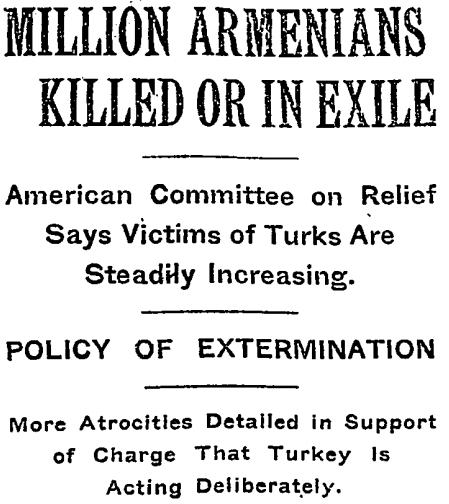 The unfathomable suffering that Armenians thought was behind them has been renewed with the conflict in Syria. Even prior to the recent liquidation of the Armenian population of Kessab, persecution at the hands of opposition fighters in Syria was systematic; yet major media and politicians continue to ignore the reality. For this reason, we must hear from those that have been to these places that are currently at the center of conflict. In Lucine Kasbarian, we have both a professional journalist and one who has direct experience of the people and places currently in the news. She has been telling the Truth for a long time now; sadly, we are seeing the consequences of world leaders ignoring such courageous voices. Her “Der Zor Diary” gives the essential historical context to a tragedy currently unfolding – it is a must read for the informed citizen.